Although we opened early to the public, this day of April 14th the entire Amusement District opens it’s heart up for the season! 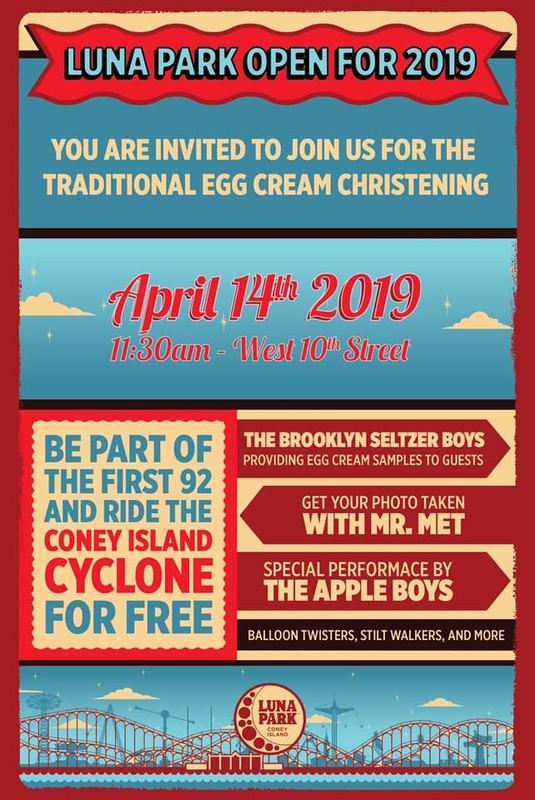 With new exciting times we continue our tradition of breaking an egg cream over the historic Cyclone! We encourage everyone to come out to Luna Park NYC to be a part of history, come out and celebrate our matriarch of wooden coasters and Thank You for supporting Luna Park NYC in Coney Island.